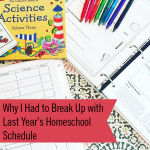 I read this article and wanted to share it with you: Why I Had to Break Up with Last Year’s Homeschool Schedule https://blog.sonlight.com/homeschool-schedule-breakup.html. 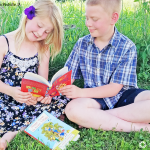 In our first year of homeschool life, we had six kids under the age of eight. Those early years of homeschooling were full and busy. We loved the four-day schedule that came with (what was then called) Core K (now History / Bible / Literature A) because it allowed us to keep a weekly play date or other outing. 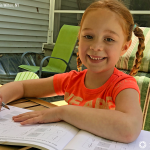 Along with the four-day weekly schedule, we chose to do school year-round because, in a house with a bunch of little people, it made sense to keep everyone in a routine. Our year-round schedule consisted of a pattern of roughly three weeks on followed by one week off and a few weeks off for Christmas break and vacation. If school was going particularly well, I could bank our weeks off and push forward for a week or two more of lessons before taking a break. With that kind of flexibility built in, we could take a week off when Grandma came to town, for example. Three weeks off was about the maximum the little ones would tolerate before they needed routine again. Thus, year-round schooling worked best for us for many years. Then we hit life as baseball parents. Five nights a week, we were at the ball fields. That first year killed us. We found out that we needed to make some major adjustments. We decided we needed to break up with our year-round schedule even though it had served us well for so long. Homeschooling is a life continually in flux. Everything changes from year to year. These are all reasons your schedule might need to change. We waited a year longer than we should have to switch from year-round schooling to a semester schedule. What kept me from making the switch? Part of me felt like I was failing if we gave up year-round school. It was a little bit pride and a little bit of fear. I've always worn the label of a year-round schooler! What if my kids lost their minds from boredom over that long summer break? What would I do? That first year of the switch, we took our long break during the six weeks of baseball season. It was precisely when I most needed a break. I realized that if I burn out as teacher, school is not going to go well now matter how great my curriculum is. I urge you—if you are feeling overwhelmed, look at your schedule and change. Maybe a year-round schedule would give you more flexibility. In our older kid’s elementary years, we switched from a four-day weekly schedule to the five-day option because I wanted to spread out our workload. As these children entered high school, their grandmother (my mom) offered to teach them Science. It was a huge blessing to me as a busy mom to 10 kids. With that offer on the table, we switched back again to a four-day HBL to make our fifth day Science Day when we traveled 60 miles to my mother's house. We also used that flexible fifth day to run errands and take outside lessons such as music or dance. 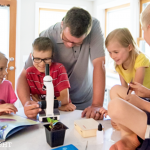 The beauty of using Sonlight as our curriculum is that my 10 children have always homeschooled in groups, using at most three HBLs each school year. Some of those groups of children have stayed together from start to finish, like my oldest three who just graduated together this year. Some of the groupings have grown apart and merged in different patterns as needed. For example, last year my 8th grade son moved to work independently in HBL F, and it has done wonders for his school work. My 4th grade daughter moved into the younger children’s group as her older siblings moved into middle school level work. After changing groups, she is now a leader instead of feeling left behind. Is your school schedule making you miserable? 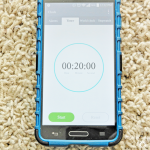 Are you running too much, missing meals, and cramming in deadlines. Are your kids needing more breaks or less free time? I've been there. And here's what I learned—You can scrap the whole thing and start over. Whether your family is large like mine or small or somewhere in between, know that every year brings new challenges and needs. Allowing yourself to break-up with your current schedule can be a wonderful gift to yourself. I don’t have to change our schedule much anymore. 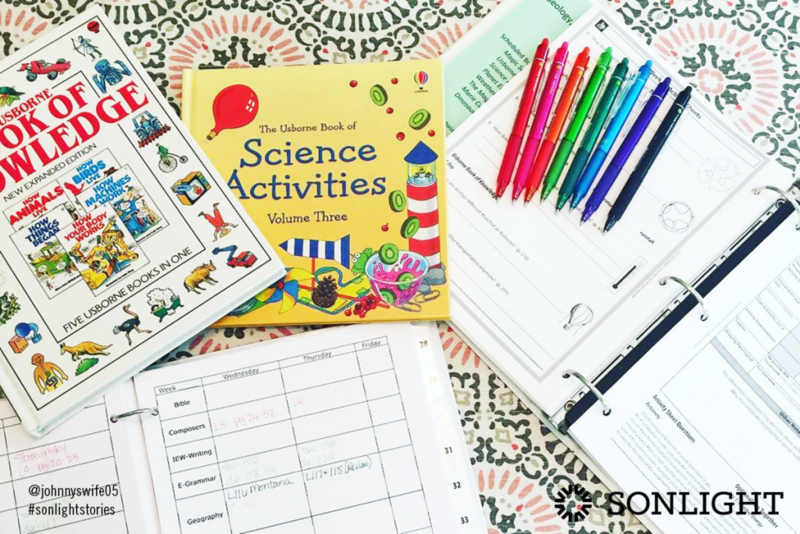 We have settled into our 14th year using Sonlight, but I remember the many shifts and adjustments we made to help us thrive while schooling at home. Change was a vital part of homeschooling. 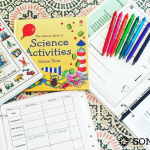 Breaking up with my homeschool schedule—again and again—to reinvent the flow of our family life was a necessary part of my role as a homeschool mom. Looking back, I can see that the sooner I identified the need to make those small changes, the better the results were. Resisting the change only made the situation worse. I love that no matter what our weekly schedule has been and what grouping of children worked together on a HBL, Sonlight has been able to accommodate us in every season of growth. What are you changing this year and what are you sticking with? See what a Sonlight schedule looks like. Try three weeks of any Sonlight Instructor's Guide for free. Click here to get one for any level, preschool through twelfth grade.